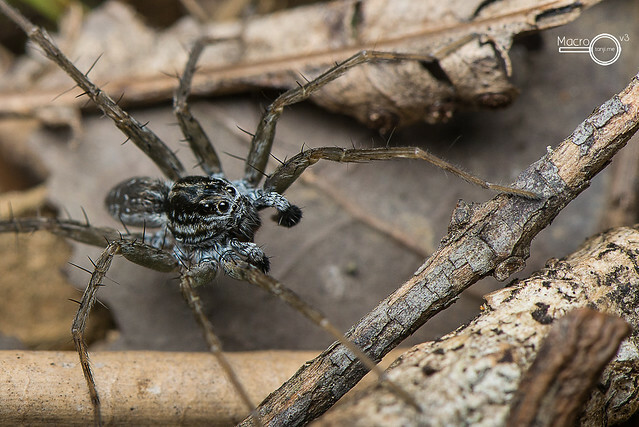 Wolf Spiders look nothing like wolves, but most of them sure are efficient hunters! 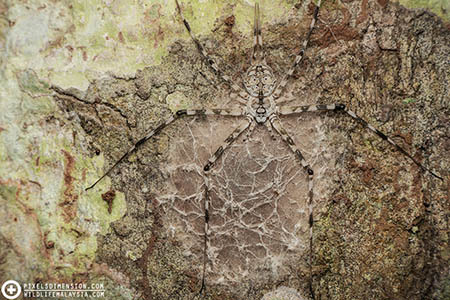 Wolf Spiders are mostly ground-dwelling, and are largely abundant in parks to gardens to forests. 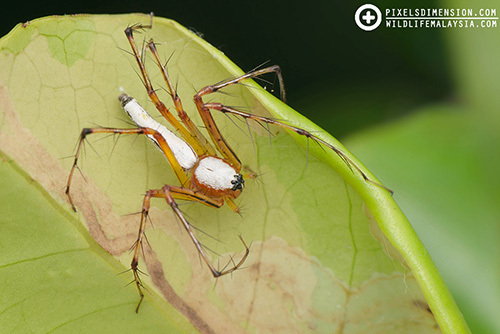 These spiders have eyes that are arranged in three rows, and the females can often be seen carrying their egg sacs as well as their young on their backs! #1. A mother Wolf Spider (Pardosa sp.) 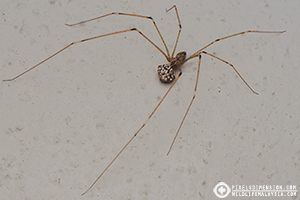 carrying her egg sac. 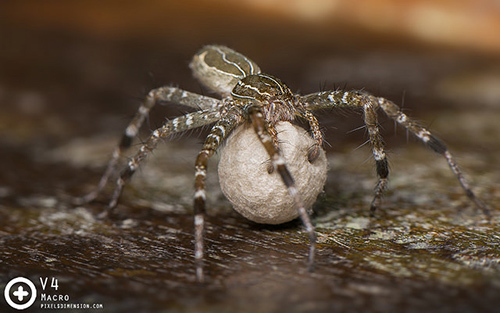 Female wolf spiders, like many other spiders, take care of their young even before they hatch, carrying them around either attaching the egg sac to its abdomen, or pushing the roundish egg sac using their pedipalps as the spider moves. 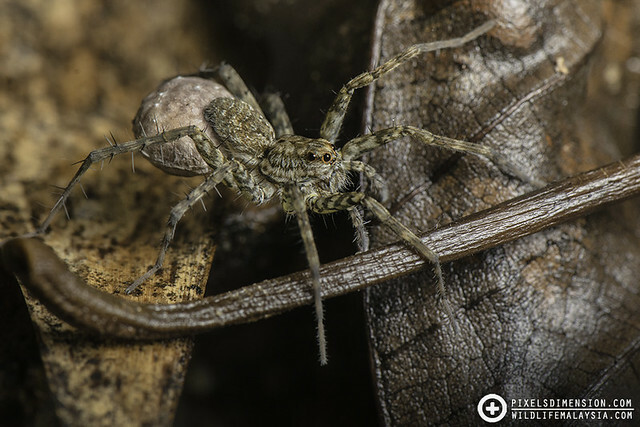 It is not uncommon to see hatchlings staying on top of the abdomen of the wolf spider, where they will stay until they are old enough to head out into the vast world. #2. 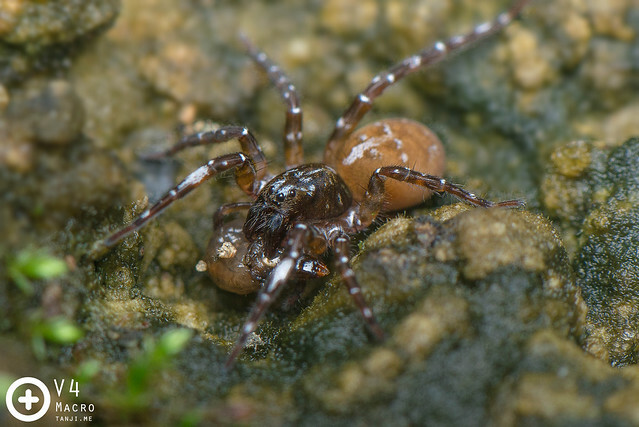 A male Pond Wolf Spider (Pardosa cf. pseudoannulata).This particularly beautiful wolf spider is usually found around ponds, and is even capable of running across the surface of water! #3. A female Lawn Wolf Spider (Hippasa holmerae). 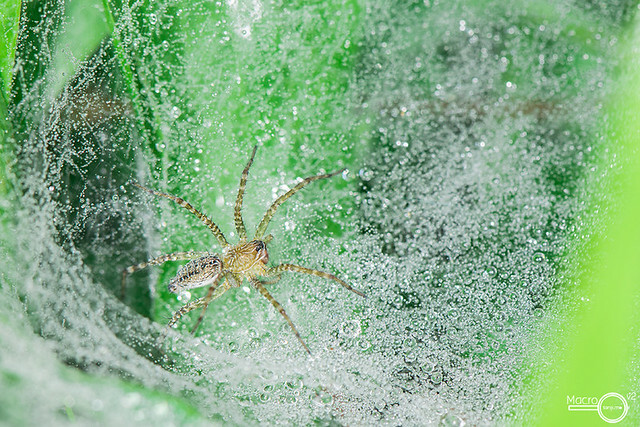 A lawn wolf spider can be easily seen during dawn, where it rests on a sheet web covered with morning dew drops on the grass, waiting for prey- mostly grasshoppers jumping into their silk-traps. There is also silk funnel behind the spider for it to quickly retreat. #4. A Wolf Spider Feeding. An unidentified Wolf Spider attacking a caterpillar. 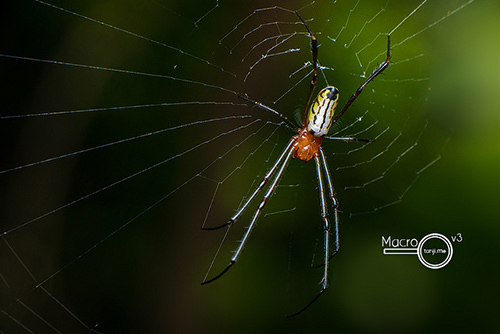 These spiders are very fast, most ground-dwelling insect preys do not stand a chance against these ferocious hunters.